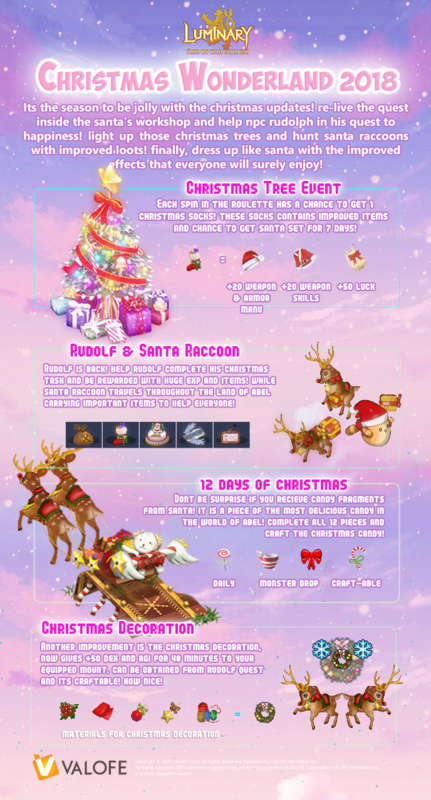 -	Only those towns that successfully activated and decorated their Christmas tree can join in this event. -	Town Chief must take a screenshot of their town. -	Christmas tree with decorations must be clearly shown in the picture. -	The town chief and at least five (5) or more residents must be in the picture also. -	The town chief should notify the GMs if there’s a decorated Christmas tree in your town in game. -	If already inspected, that’s the time that this town is eligible to participate in our event. -	The winners will be announced on Christmas Day (December 25, 2018). We will only accept entries from Support.goonzu@valofe.com, so please make sure you are sending on the right email. Rewards distribution will be announced and according to the agreement of the town Chief and its citizen. - By joining this event and becoming a participant signified that you automatically agreed to all our terms and conditions. - The decision of the GM is final and indisputable and we have the right to change any part of the mechanics including the prizes as we deem fit without prior notice. All Rights Reserved. All Trademarks referenced herein are the properties of VALOFE Corporation,VALOFE Interactive Inc, and their respective owners.